What does Disha mean, details, origin, short & easy attributes? Meaning of Indian name: Disha. Meaning of the name Disha is 'Direction'. Disha is a name of Hindu / Indian origin, and is commonly used for females. The name number for Disha is '5'. Disha is baby girl name mainly popular in Hindu religion and its main origin is Hindi. Disha name meanings is Direction. People search this name as Disha, Dishant, Dishan, Dishari, Dishan boy name, Meaning of dishaad, Dishant meaning in hindi, Dishaan. Disha is written in Hindi as दिशा. Other similar sounding names can be Dajshi, Dasha, Deesha, Dewesh, Diasha, Dishi, Diwesh, Dushya, Dwisha, Tasha, Tashi, Tashu, Tesha, Tischa, Tisha, Tishya, Tiyasha, Tosh, Toshi, Toyesh, Tushya, Twisha. Each letter meanings in Disha Name. Popular personalities with Disha Name. Disha Patani is an actress and model. She was most active from 2014 to present. Disha was born on June 13th, 1992 in Bareilly. Disha Vakani is an actress. She has been prominent since 1997. Disha was born in Ahmedabad, Gujarat, India. Disha Parmar is a television, model (people), television actress, and model. She was most prominent from 2012 to 2014. 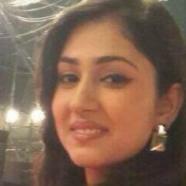 Disha was born Disha Parmar in 1992 in Delhi, India. Disha Pandey is a film actress and model. Her most notable accomplishments were from 2010 to present. Disha was born in 17 in Jaipur. Disha is also known as DISHA. Disha Poovaiah is an actress.